The item Brush back, Sara Paretsky, (electronic resource) represents a specific, individual, material embodiment of a distinct intellectual or artistic creation found in Lawrence Public Library. 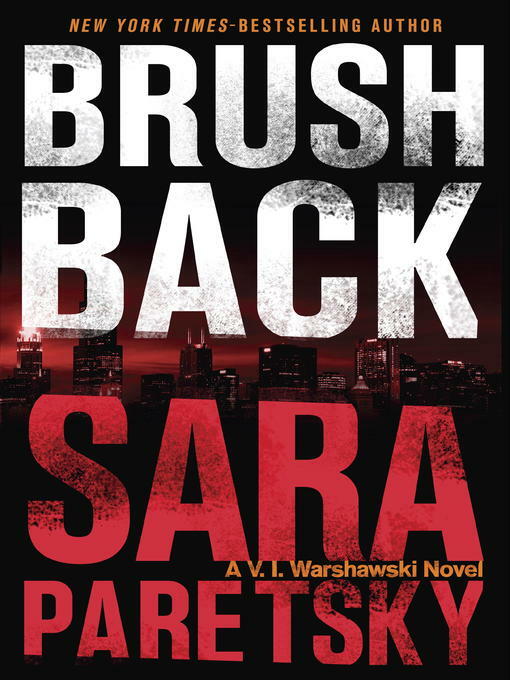 Chicago's V. I. Warshawski confronts crooked politicians and buried family secrets in the gritty new novel from New York Times&#8211; bestselling author Sara Paretsky. No one would accuse V. I. Warshawski of backing down from a fight, but there are a few she'd be happy to avoid. High on that list is tangling with Chicago political bosses. Yet that's precisely what she ends up doing when she responds to Frank Guzzo's plea for help.For six stormy weeks back in high school, V.I. thought she was in love with Frank. He broke up with her, she went off to college, he started driving trucks for Bagby Haulage. She forgot about him until the day his mother was convicted of bludgeoning his kid sister, Annie, to death. Stella Guzzo was an angry, uncooperative prisoner and did a full twenty-five years for her daughter's murder.Newly released from prison, Stella is looking for exoneration, so Frank asks V.I. for help. V.I. doesn't want to get involved. Stella hated the..